The student compiles oil field well data, including spatial locations and digital well logs, for analysis of subsurface, oil reservoir stratigraphy and lithology using computer spatial technologies software, Geoplus Petra. The students create well log cross sections, make lithologic picks, construct structure and isopach maps, and evaluate lithologic properties, including gross reservoir quality from petrophysical logs. These data are used to interpret depositional environment of the subject formation and make predictions for well bore perforations for oil production. 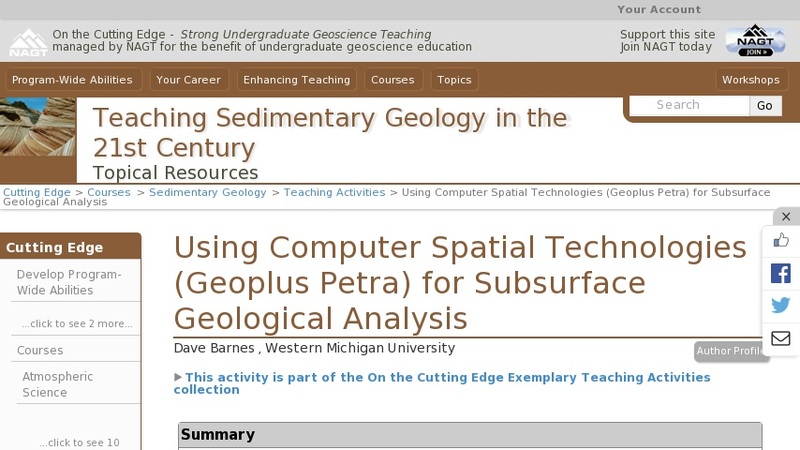 The key value of the exercise is an introduction to the use of computer software to analyze geological data, guided by sedimentologic and stratigraphic insights, and make predictions for resource exploitation.